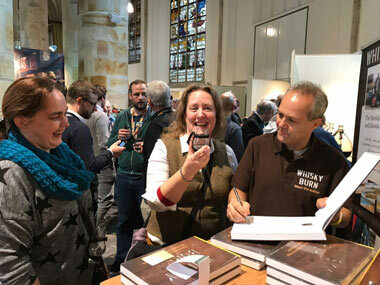 Wittenborg writer Ben Birdsall’s book Whisky Burn drew lots of interest at the international Whisky Live 2017 Fair in The Hague this weekend, attended by thousands of whisky lovers. The event took place at the Grote Kerk in The Hague. 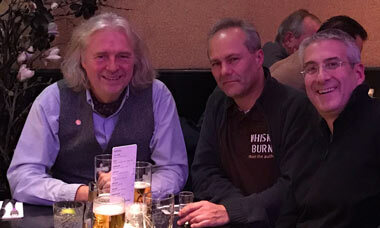 Birdsall had a stand alongside one of Holland’s, if not the world's, top whisky writers, Hans Offringa. “It was a great opportunity to connect with readers and network with people who share my passion for whisky. I really valued the experience,” Birdsall said of the event. 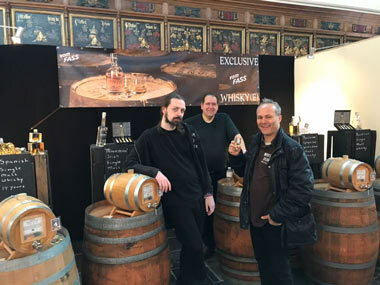 Next weekend on 25 November he will be at the Whisky Live conference in Dublin, followed by Whiskyschiff Zürich 2017 from 30 November – 3 December in Zürich. Whisky Burn Distilleries of Scotland by Vespa – the Highlands and Islands chronicles Birdsall’s travels in Scotland visiting more than 40 of its well-known distilleries. The book was published by Wittenborg University Press (WUP) in 2015 and is slowly but surely finding its stride among whisky connoisseurs around the world. “Sales are picking up and we are continuously exploring new markets,” said Wittenborg’s chair of the executive board, Peter Birdsall. WUP has teamed up with Whiskyboeken.nl – an online bookseller who was also at the fair - to promote Whisky Burn. 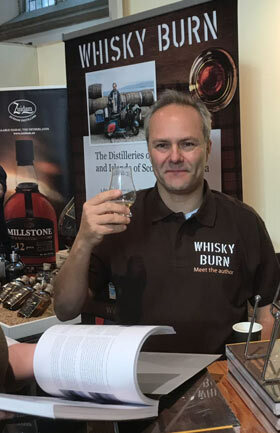 Wittenborg also wants to expand the brand Whisky Burn by offering whisky tastings and other products. As a future project, Birdsall is keen to explore the possibility of touring the Japanese whisky distilleries, which is a fast-growing sector of the market.